Residential Hourly Staff provide direct client services to the residents of Community Services Board operated residential services. Residents are individuals with serious mental illness who are residing in community-based residences. 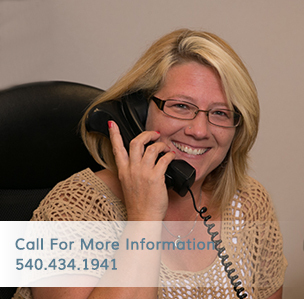 Residential Hourly Staff work assigned hours in order to ensure staffing coverage to meet the needs of the residents. Services include training and support in daily living skills, household management skills, supportive and/or educational counseling, client goal-setting and progress evaluation, activities to promote community integration, on-site support and emergency intervention. The Supervisor of Residential Services supervises the work of the Residential Hourly Staff. The work requires that confidentiality be maintained in accordance with Board policy. Discretion and independent judgment in providing services are required. Possession of a valid driver’s license and acceptable driving record. Graduation from an accredited college or university with a bachelors degree in human services or a related specialty plus one year of experience in a mental health, intellectual disability, or substance abuse setting; OR any equivalent combination of experience and training which provides the required knowledge, skills, and abilities. Work Environment: CSB operated residential settings, community settings, and offices with lighting levels, temperature ranges, air quality, and ventilation and noise levels as provided in each setting. Work Location: CSB operated residential settings; community settings. Work Hazards: Standard hazards associated with a mental health treatment environment. Standard hazards associated with human service residential environment including hazards associated with problem behaviors; occasional hazards associated with community activities; occasional hazards associated with being the sole staff member on the house premises. Work Schedule: Hours are scheduled to provide support to residents based on their needs and include evening and weekend responsibilities. Flexibility is required in order to meet and respond to residents’ needs.